Welcome to Oxford City SKC. 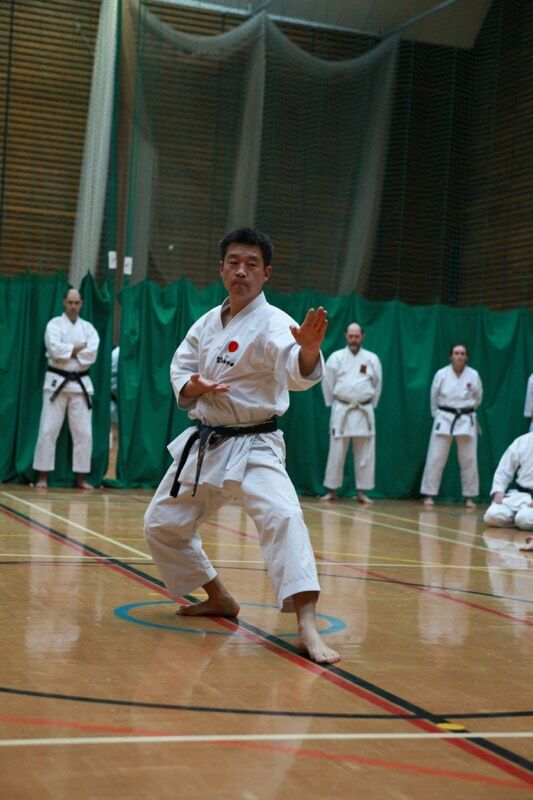 We are a Shotokan Karate club based in Oxford. We focus on offering high quality training in a fun and exciting environment. Karate is a great form of exercise that not only teaches you self defence, but improves strength, stamina & flexibility. For children it teaches discipline, self control and self confidence. We accept students of all ages from 6 years +, whether you are male or female; a complete novice or experienced karateka; Martial Artist from another association or style, you are welcome. If you are older, and have not done any exercise for a while, as with any strenuous activity it is advisable to check with your doctor before you start. Because we are members of JKA-England, the coloured belt grades, and especially black belt are recognised worldwide. When you pass black belt grade it will be registered in Japan at the JKA headquarters in Tokyo. We are a traditional Shotokan club which means that we place great emphasis on the practice of basic techniques (punching, kicking, blocking) and katas (patterns) to make our fundamental karate techniques better. Our instructors are constantly seeking to improve their training methods. They regularly attend national and international karate courses and specialist instructor courses to ensure that our teaching is of the highest standard.